So, you decided to migrate a system to the cloud. It may be business or IT initiative, but what does it really mean switching between on premise and the cloud? For ages, we used to manage our IT infrastructure by ourselves, on our own data centers (or network communication cabinets, for small companies…), using our purchased hardware, while maintaining and troubleshooting every software/hardware/network problem. In the cloud, things change. In the cloud, we are one of the many customers sharing compute resources in multi-tenant environment. We have no control of the hardware or the chosen platform technology (from the servers’ hardware vendor to the storage vendor), we barely control the virtualization layer, and don’t even get me started talking about troubleshooting the network layer. IaaS (Infrastructure as a service) – In this service model, the customer controls (almost) everything from the virtual servers operating system, through the application layer, up until the data itself. 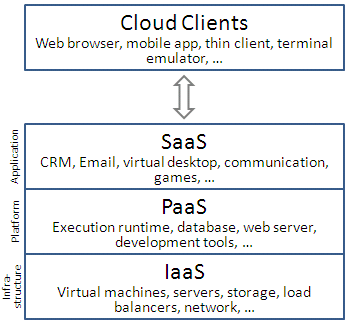 PaaS (Platform as a service) – In this service model, the customer controls the application layer, up until the data itself. SaaS (Software as a service) – In this service model, the customer has access to a close application, but the customer is the data owner and can control permissions (and auditing) of the data. Once we understood those basic rules, let’s analyze what does it really means migrating to the cloud. The word that differentiates a mature cloud service provider from a rookie is transparency. Mature cloud service provider won’t hesitate to answer tough questions such as “Can I have a copy of your last external audit report?”, “Do you have a business continuity plan?”, “Do you have an SDLC (Software development lifecycle) process?”, etc. When engaging with cloud service provider, it is important to know as much details about the provider as you can, until you are comfortable enough to sign a contract. A solid contract will give you assurance about the cloud service provider’s ability to fulfill his obligations and will higher the chances of project success. In the next couple of articles, I will try to pinpoint important tips for a successful cloud project.